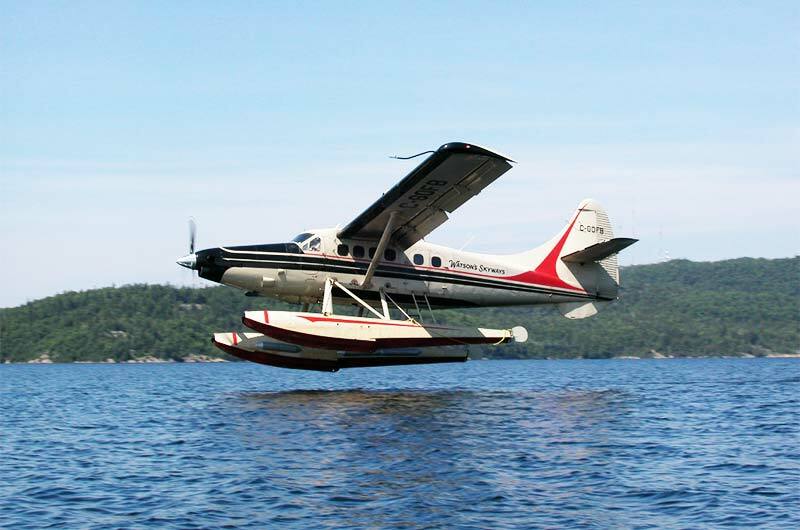 American Plan and Housekeeping Plan Fly-in fishing packages on Kaby Lake. 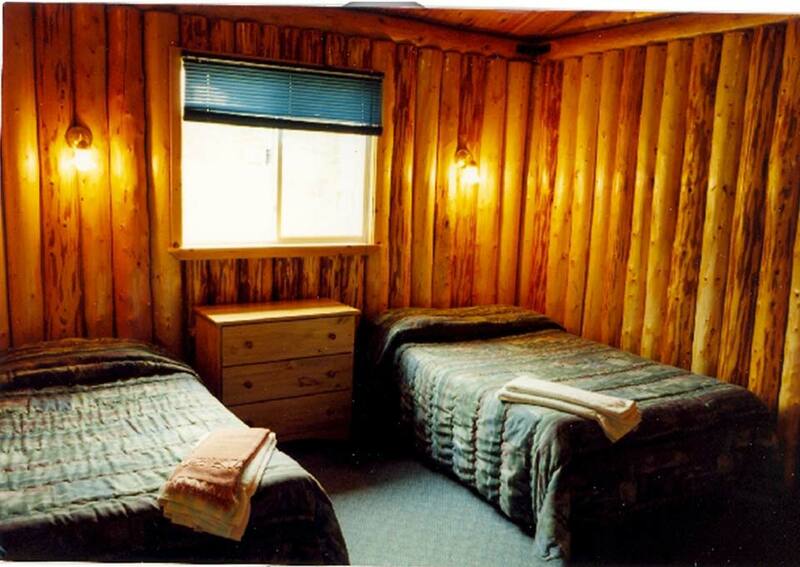 Three, Four, Five, Six, Seven and Eight+ day packages are available! 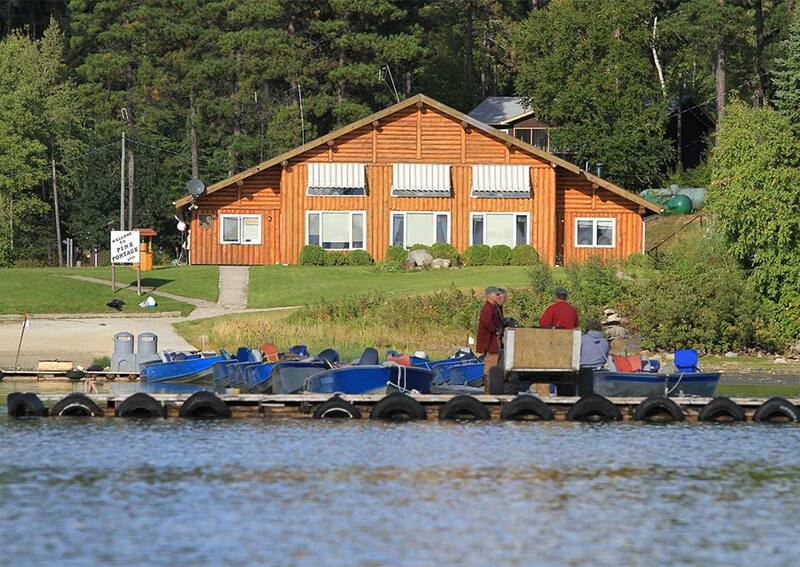 The fishing season at Pine Portage Lodge opens the third Saturday in May each year. 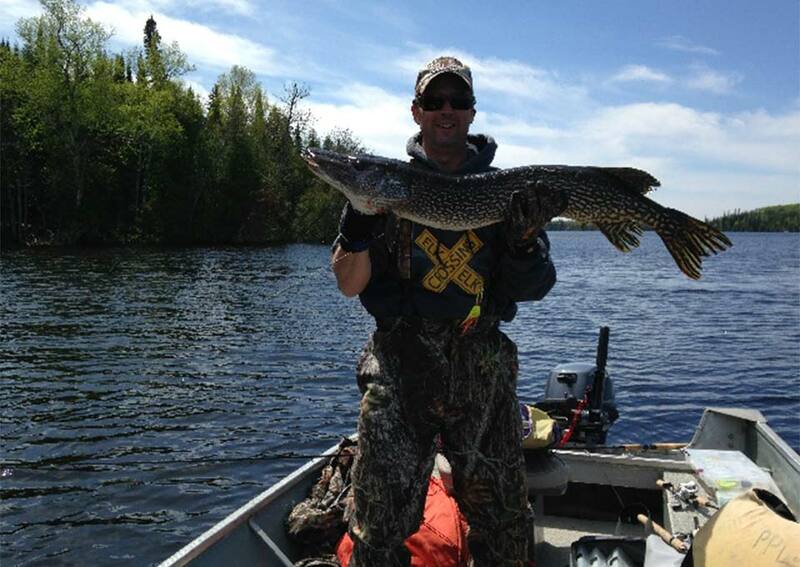 Post-spawn Pike and Walleye are primarily in shallow water, back bays, rivers/creeks where there is some current. Live bait rigs are best at this time and must be fished slowly. As the water warms, trolling a minnow imitating crankbait (e.g. Rapala) is also a good way to cover water and locate active fish. 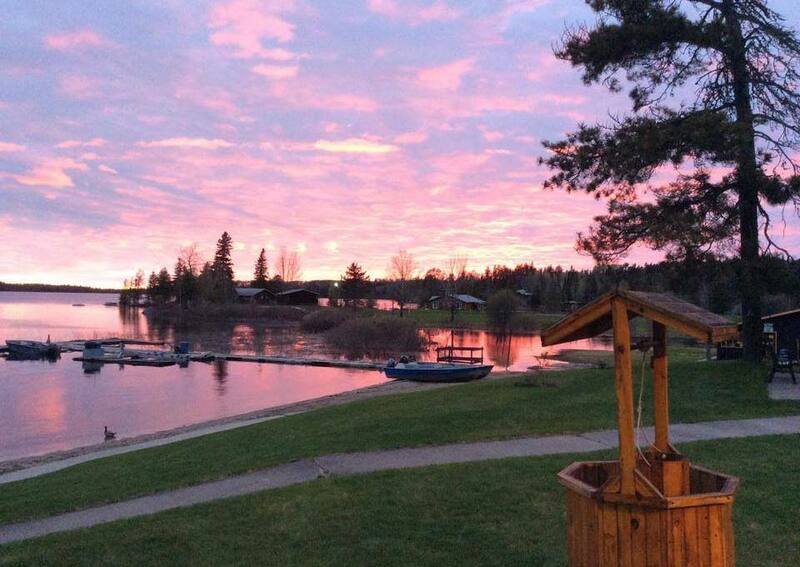 Unquestionably, the Walleye is the # 1 sport fish at Pine Portage Lodge, and anglers from across the continent have enjoyed consistent and outstanding Walleye fishing over the years. In the early part of the season at Kaby Lake, it is not at all unusual to catch numerous numbers of walleyes right off the dock! Even better than the great Walleye fishing, and having fish on the stringer is a Kaby Lake shore lunch. 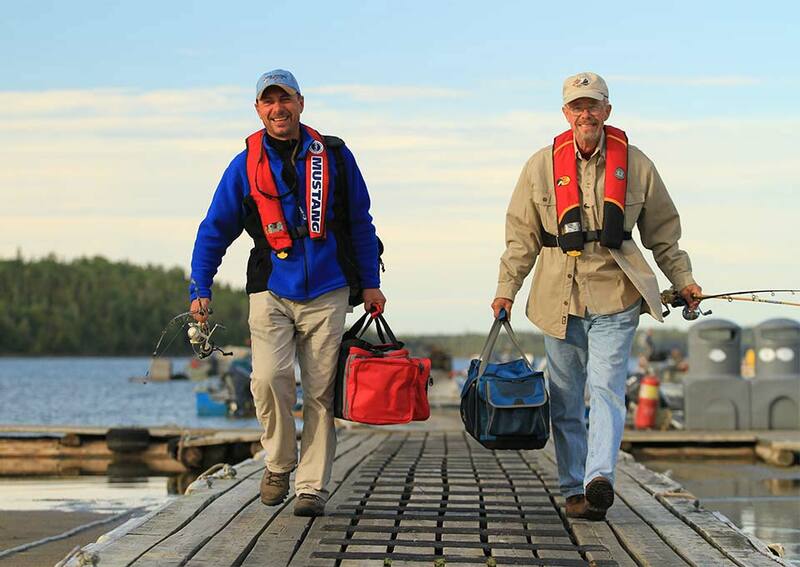 Around the lake at strategic locations, Watson’s have set up forty (40) shore lunch sites for the use of their angling guests who can recruit the services of a guide or tackle shore lunch on their own terms with a pre-packed shore lunch kit available from either Pine Portage Lodge. 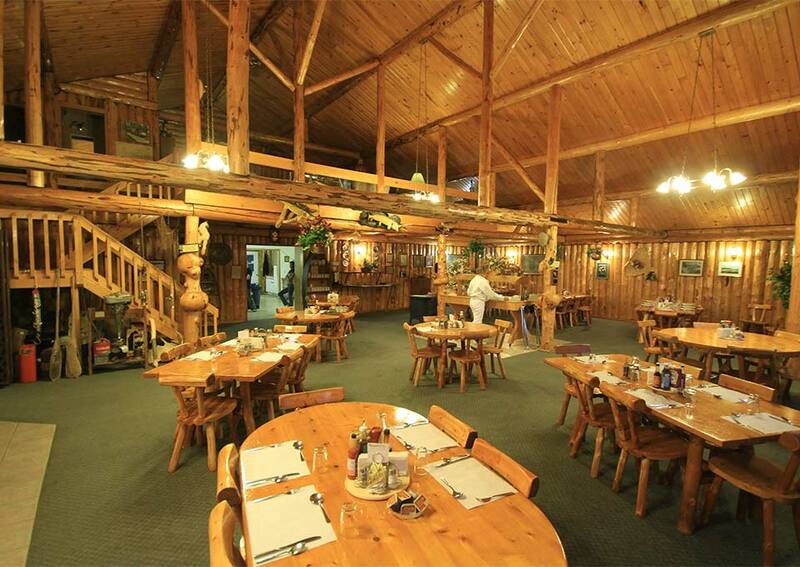 A Canadian fishing trip tradition, shore lunch is one thing about a trip that no one ever forgets. 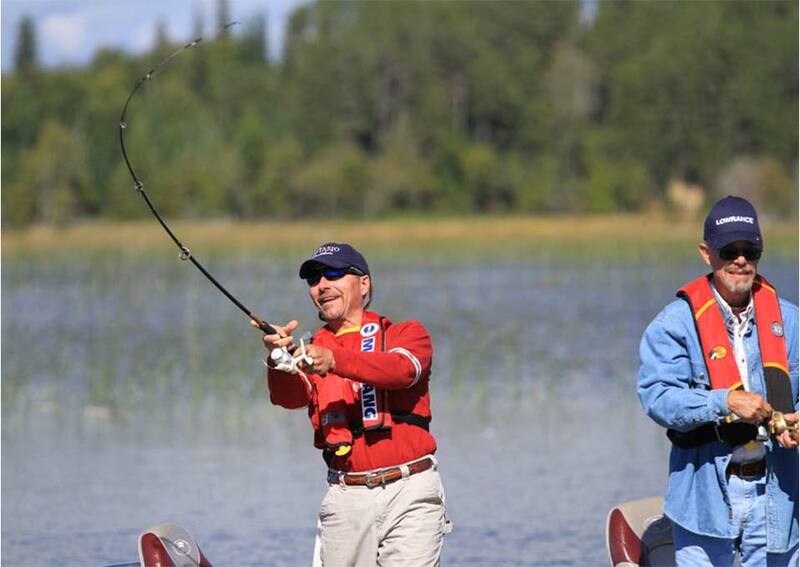 Few sports fish will inspire fish tales like the great Northern Ontario pike, and Kaby Lake’s big Northerns are legendary. 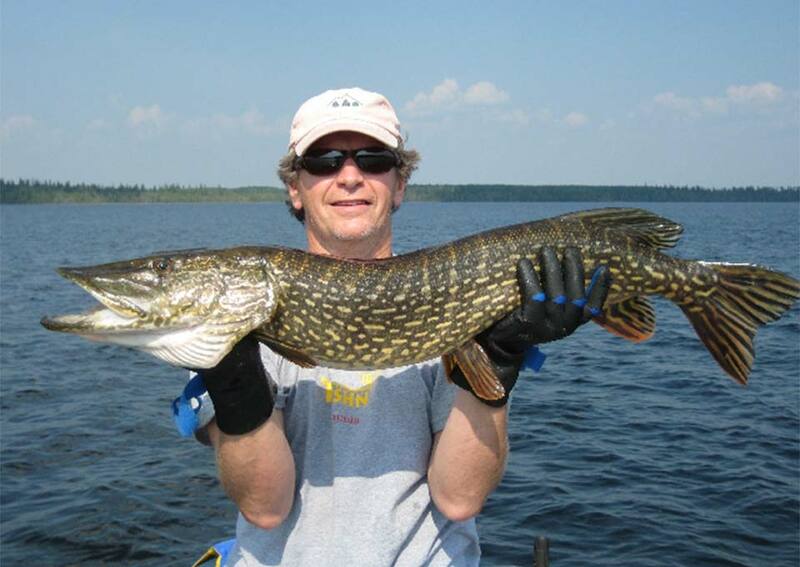 Big waters produce big fish, and combined with expansive weedbeds, deep main-lake basins, a large forage base, and widely practised catch & release, an excellent Pike fishery has flourished at Kaby Lake. Several fish over 40″ are caught at Kaby Lake each season, most of which are released by conservation-minded anglers. The big fish record included a 46″ ‘gator, a 44″ beast topping 20 lb and countless others in the 34″ to 44″ range. Little wonder that many Kaby Lake guests devote much of their time trophy hunting.